Watch it if you're a fan of the series. Otherwise it's confusing but action-filled. ...Yu Yu Hakusho gets the X Movie treatment. 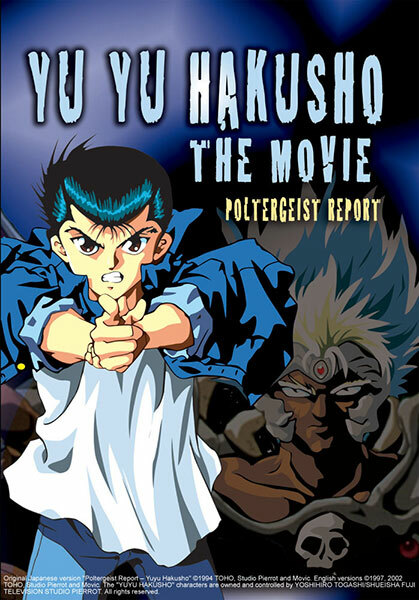 In Poltergeist Report - Yuyu Hakusho, a powerful demon wants recreate the lost netherworld on Earth. In order to stop him, Yusuke and friends have to prevent his minions from opening five mystic seals scattered throughout Tokyo. For those unfamiliar with the series, a bit of background: Urameshi Yusuke is a moody 14-year kid who was killed while saving a small child from an oncoming bus. When his soul journeys to the spirit world the lord of the dead makes him an offer: He gets to return to life (with some potent mystical powers) if he becomes a spiritual investigator to look out for the interests of the lord of the dead in the human world. Along with him comes Botan, a witch and assistant to the lord of the dead. He's also joined by Kurama and Hiei, two demons who are willing to help Yusuke perform his duties, and Kuwabara, Yusuke's big lug of a friend who also happens to possess psychic powers. Poltergeist Report is a decent movie if you're familiar with the series. Unfortunately, if you're not, the movie is confusing and almost pointless. Like most anime movies that are part of a larger series, Poltergeist Report offers next to no information on its main characters, so watching the series first will make it much more enjoyable. Still, even if you haven't seen the series, the movie has its moments. The fight between Kuwabara and a major demon named Majari is worth the entire hour and a half. The animation quality is good, but the dubbing of some characters is grating to listen to. 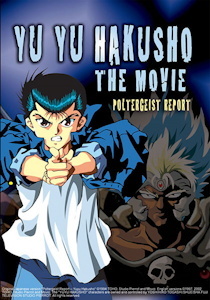 All in all, I recommend Poltergeist Report - Yuyu Hakusho if you're a fan of the series. Even if you're not, you might still find it fun. This film was released in the US before any of the TV series, and originally just went by the title Poltergeist Report. Plot-wise, it follows the TV series and the first movie, a little 30-minute thing that's available in English from Media Blasters. 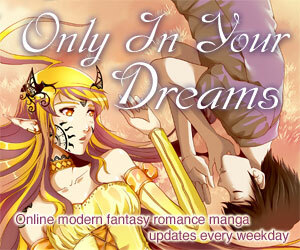 Available in North America from US Manga Corps on bilingual DVD. Was originally available on dubbed or subtitled VHS. Yu Yu Hakusho: The Movie 2: Poltergeist Report is Copyright © 1994 Toho, Studio Pierrot, Movic. Any images are the property of their respective rightsholders, and included for review purposes only under the fair-use clause of US copyright law.